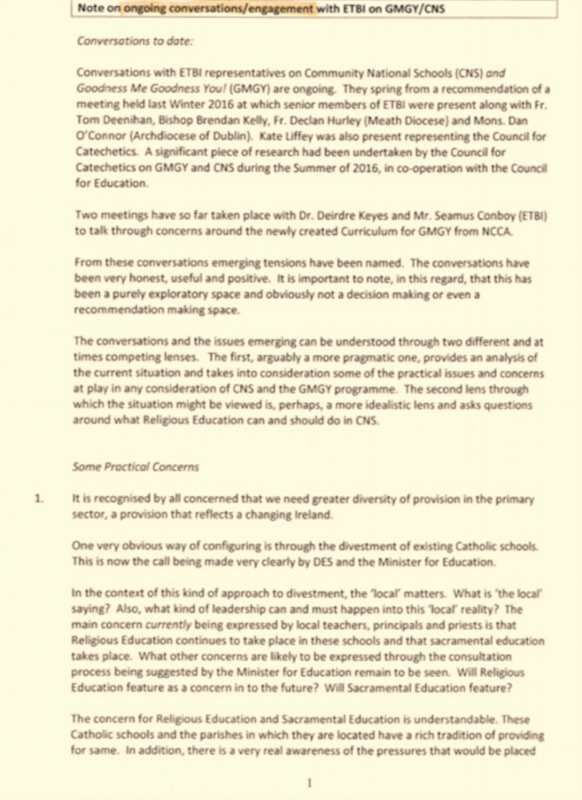 Documents that Atheist Ireland obtained under FOI show that private dialogue between the Catholic Church and the ETBI failed to protect the human rights of parents who seek secular education based on human rights law in the new Community National Schools. 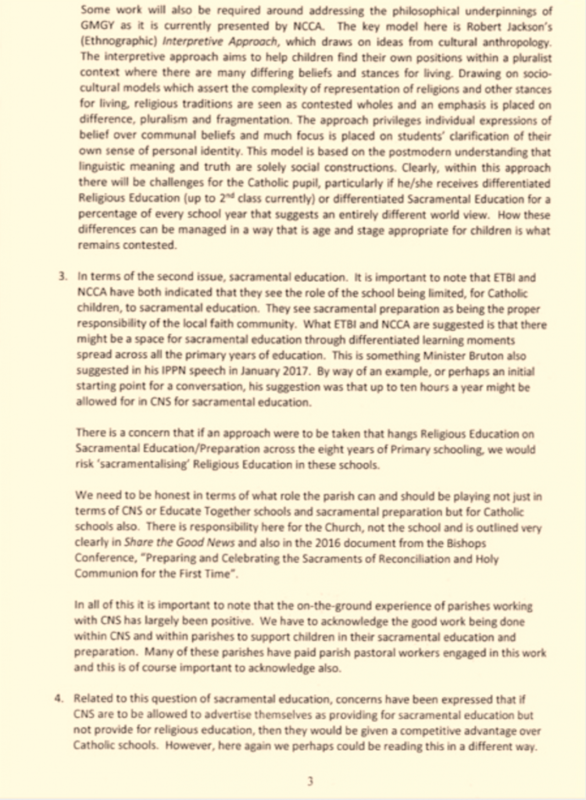 The ETBs ignored their public service duty to protect these human rights, under Section 42 of the Irish Human Rights and Equality Commission Act, and instead appeased the Catholic Bishops, who will decide whether to divest some schools to the ETBs (as CNS schools) or to Educate Together. In Community National Schools, the new Goodness Me Goodness You religion curriculum retains the concept of Belief Nurturing, while no longer using that term to describe it. The learning outcomes for the course have also been changed, from understanding religion to respecting religion. We publish below a Document from 2017 that Atheist Ireland got under the Freedom of Information Act. It outlines the objections of the Catholic Church to the GMGY course that was launched in 2016. It states that provision for children from Catholic families in Community National Schools had to be factored into the process. 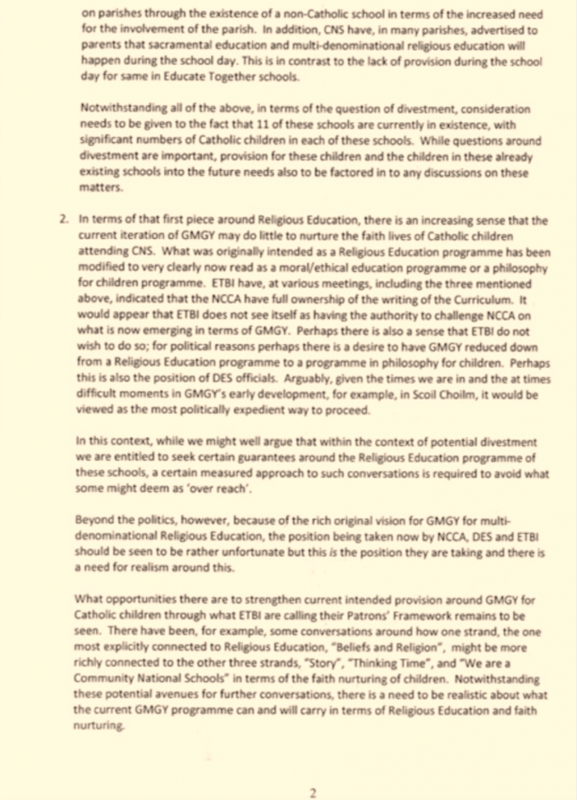 The Document outlines how the GMGY course launched in 2016 was not adequate from a Catholic perspective, because it had been changed from what was originally envisaged. The Catholic Church said that work would be required around addressing the philosophical underpinnings of the course. The new 2018 Curriculum has been promoted as no longer involving Belief Nurturing, but it retains the processes that were described as ‘Belief Nurturing’ in the 2016 curriculum. All that has changed is that they no longer use that phrase to describe the same processes, and they now keep pupils together in the same class for religion. Also, the new 2018 Curriculum has new learning outcomes that require children to demonstrate respect for religious beliefs, celebrations, artefacts, rites and ceremonies, special places, books and stories, special journeys, codes of conduct, places, and symbols. Learning outcomes are statements in curriculum specifications to describe the knowledge, understanding, skills and values students should be able to demonstrate after a period of learning. 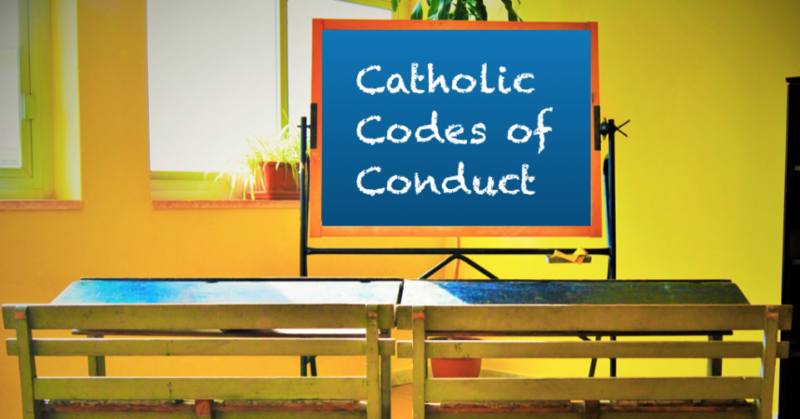 In the 2016 version of the course, the one that the Catholic Bishops were complaining about, the learning outcomes only required children to understand religious beliefs and their manifestations, not to demonstrate respect for them. This new change reflects the educational philosophy of the Catholic Church. It is not objective and is not up to human rights standards. 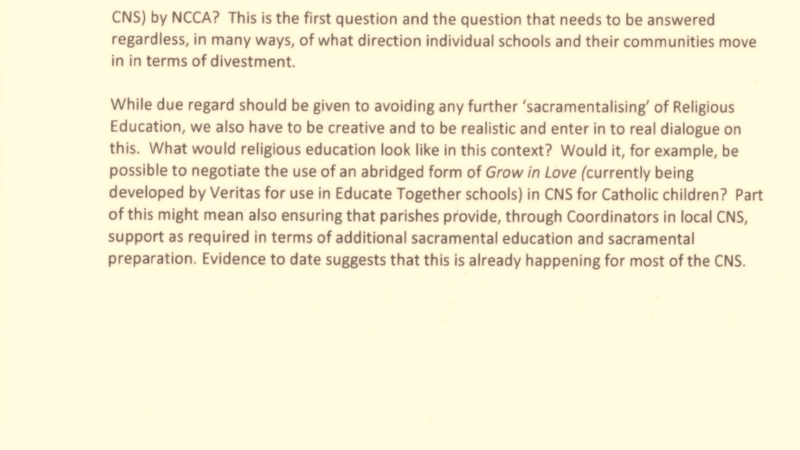 We now have a situation where the ETBs are managing a divestment process as well as taking part in it, where they have been in a private dialogue with the Catholic Bishops over how religious education will be taught in the CNS schools, and where the Catholic Bishops will have the final say as to whether schools are divested to the ETBs or to other patrons such as Educate Together. The Community National Schools are not inclusive. They do not meet human rights standards. They are presenting themselves as a new alternative, when it is clear that the rights of parents who seek secular education are disrespected and ignored. 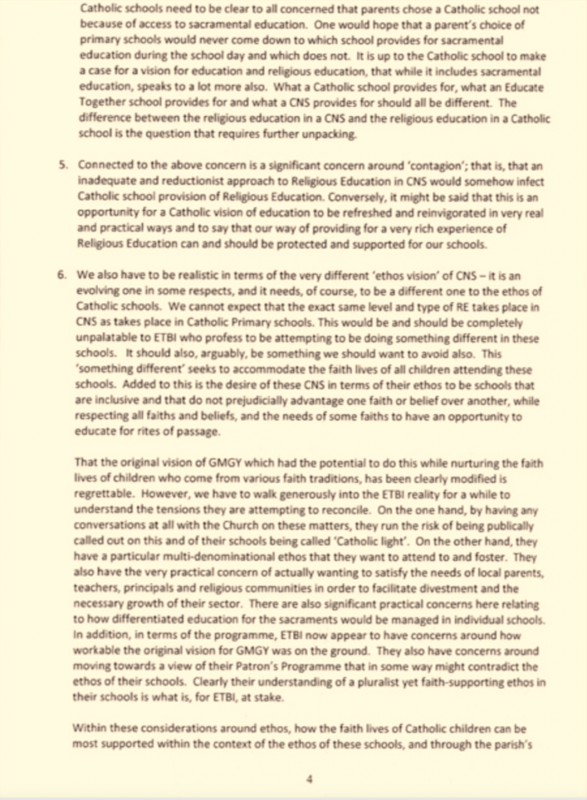 ETBI said CNS schools were "playing a very significant role in realising Catholic vision for religious education"
If that is how they want to play the game …. Make them prove the existence for their own existence – a god!!! Make the bstrds prove their gods – in court!! !